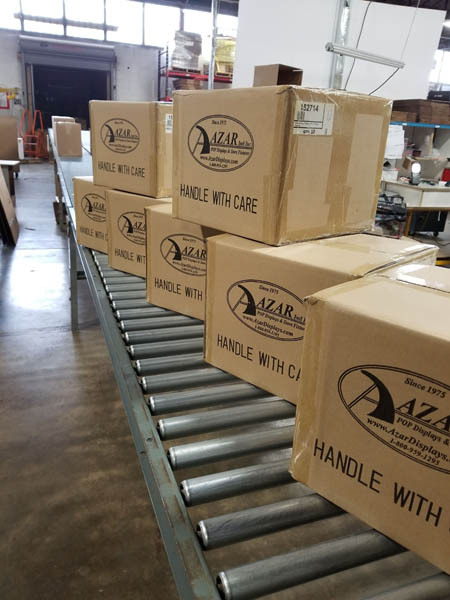 Just-in-time (JIT) is an inventory strategy that we at Azar believe in to help our customers increase efficiency and decrease waste by receiving goods only as they are needed, thereby reducing inventory costs and multiple freight costs. This method requires us to forecast demand accurately. 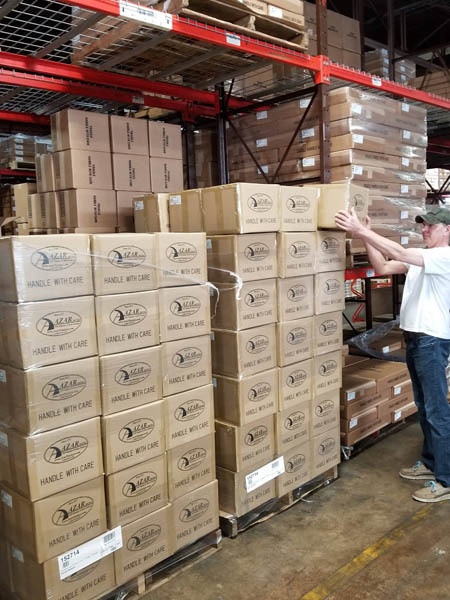 Azar constantly conducts data analysis on inventory and sales trends for all our products. 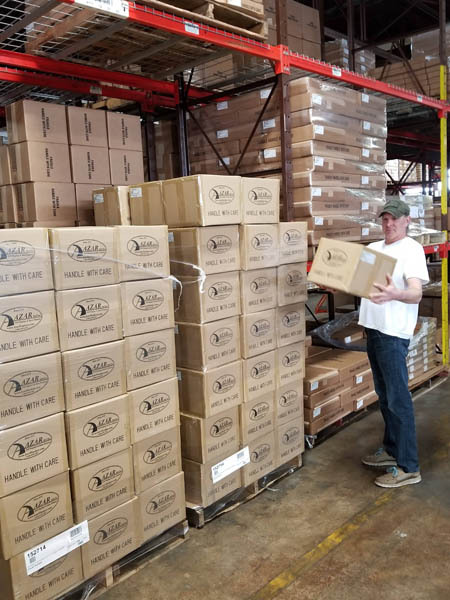 This allows us to forecast and anticipate our customers’ needs so when you order, we have it on the shelf ready to go! A: Companies no longer need to order in high volume and store the displays until needed. This allows for better use of space for our customers, and not paying twice for freight transport, thus optimizing efficiency. 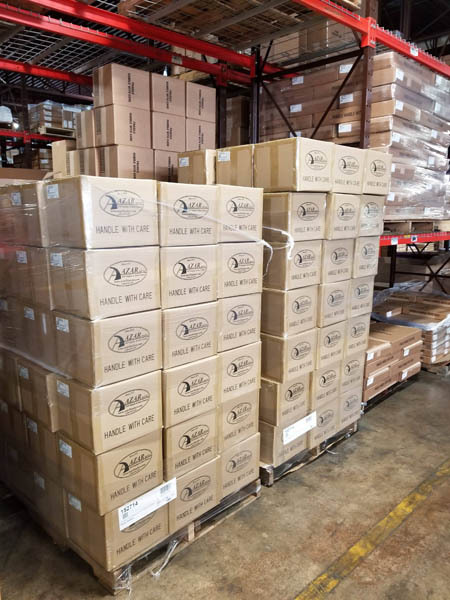 Azar Displays can also drop direct to store locations either one at a time as needed or all at once with a high volume drop ship. 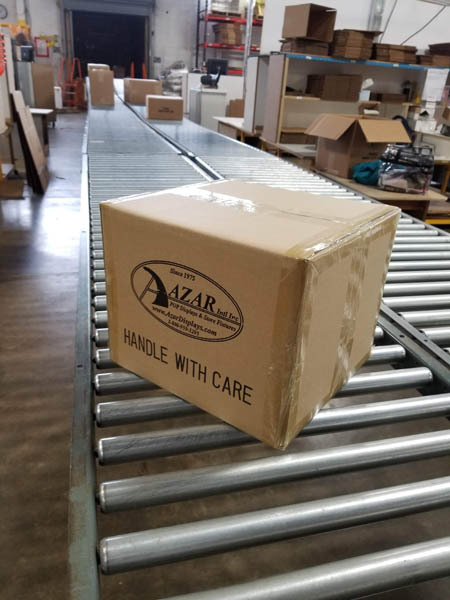 The key is the customer buys just enough for what they need and no more, knowing full well that when needed again, Azar has it!